Get up close and personal the creators of hit comedy Schitt's Creek as this special live event sees Eugene Levy, his son Daniel, Catherine O'Hara, Annie Murphy, Emily Hampshire, and Noah Reid take to the stage to discuss the adventures of the Rose family! 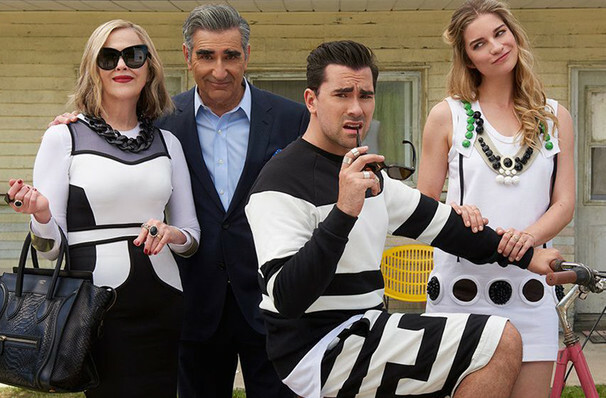 Hilarious, heartfelt and heavily bingeable, CBC's Schitt's Creek is a single-camera comedy that follows the fortunes (or misfortunes) of a once wealthy family whose financial woes lead them to living in a motel in the tiny town of Schitt. Led by Levy Snr as patriarch Johnny Rose, Levy Jnr as David, his fish-out-of-water son, Catherine O'Hara as Moira, his batty actress wife and Annie Murphy as his ditzy daughter Alexis, the Levys have created one of the finest and funniest TV families of recent times. See what insights they have into the show in this not to be missed live evening. Sound good to you? Share this page on social media and let your friends know about Schitt's Creek at State Theater. Please note: The term State Theater and/or Schitt's Creek as well as all associated graphics, logos, and/or other trademarks, tradenames or copyrights are the property of the State Theater and/or Schitt's Creek and are used herein for factual descriptive purposes only. 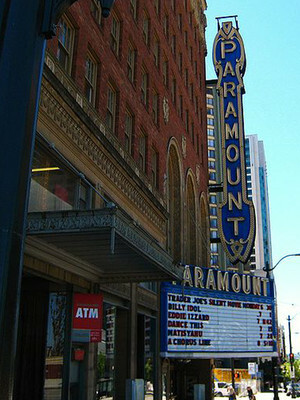 We are in no way associated with or authorized by the State Theater and/or Schitt's Creek and neither that entity nor any of its affiliates have licensed or endorsed us to sell tickets, goods and or services in conjunction with their events.